Design is one few disciplines that truly connects people, products, brands and causes to the world. While this seems grandiose, it is quite true, but for almost three decades AIGA has questioned why the “creators” do not reflect the world for which they create. In reality the problem has been and continues to be access. For many underrepresented individuals, Design is inaccessible because the tools are too expensive, we were never told it was a viable career, the programs are limited, or we simply do not see many who look like us being touted on the world’s stage. This was the reality both myself and Antionette Carroll, Founder and CEO of Creative Reaction Lab, understood all too well when discussing what has become the Design + Diversity Fellowship Program. The purpose of this program: to identify and support emerging under-represented designers with a passion to make positive change within their communities as well as the creative industry. Supporting these individuals is one way we can address the high cost of entry into design by providing the essential tools and mentorship needed to jumpstart their careers. The year-long fellowship will not only address the needs of the fellows to ensure they have as much access as we can provide, but it is also meant to amplify the voices and work of each individual both professionally and within their communities. 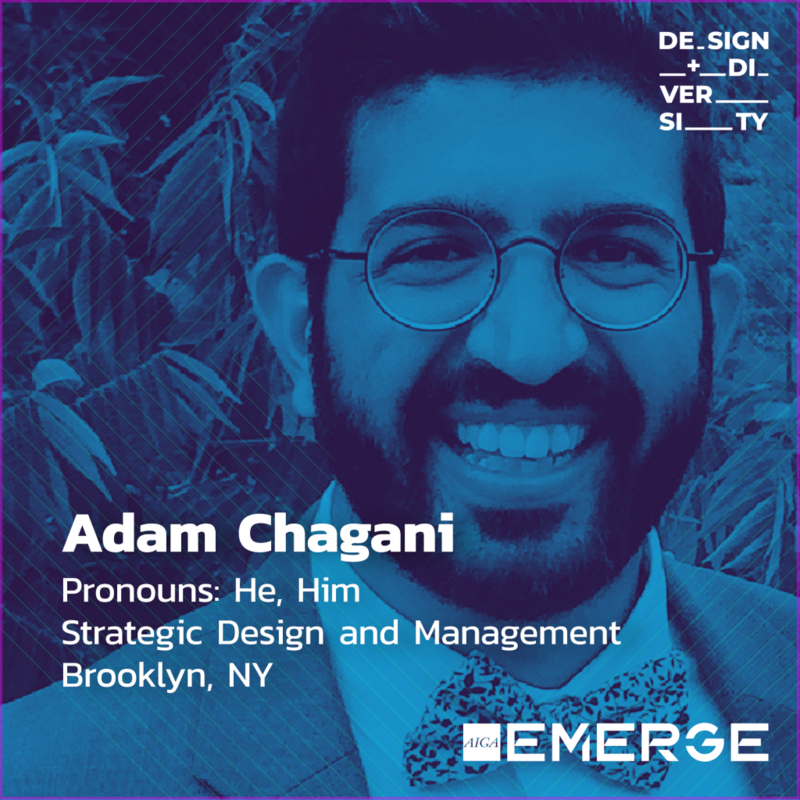 Adam is a self-driven aspiring design strategist who is passionate about addressing complex social challenges through the utilization of the design process. His interests are rooted in the complexity of socioeconomic problems ranging from Sexual Reproduction Health in emerging markets to financial inclusion to scalable models for Early Childhood Development. Adam’s current focus is on impact strategies in regard to the plastic waste issues in emerging markets, exploring ways to improve plastic collection and recycling systems. This summer he completed a collaborative project called “RePurpose Plastic” to conduct exploratory research and dive into a topic to which he is most passionate. 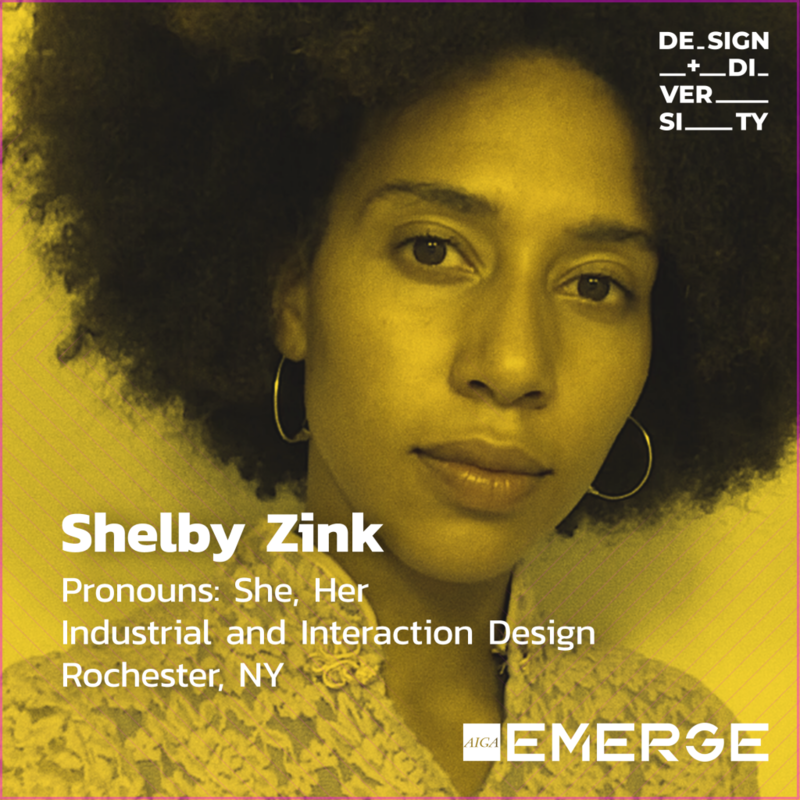 After hosting a community poetry event, in 2016, at an old warehouse covered in murals located in the historic Susan B Anthony neighborhood of Rochester NY called “Spoken Truths”, Shelby realized her ability to affect change without the need of a “fancy job”. To Shelby the Susan B Anthony neighborhood embodies the Rochester community, with its mix of socioeconomic classes, ethnically and racially diverse residents, passionate community members, historic homes, abandoned homes, and rich history. Her current work in public health is fueled by her passion to bring design and beauty to the healthcare field in a way that is familiar and relatability for urban children of color. Shelby has also raised money to work with communities outside of her own, including raising money for the Sara Center, a sewing school for underserved women in Niamey, Niger. While in Niger, she used nonverbal and visual communication methods to co-design and exchange western and African fashion and accessory making skills and designs. Quinton’s work explores where art, design and community intertwine. 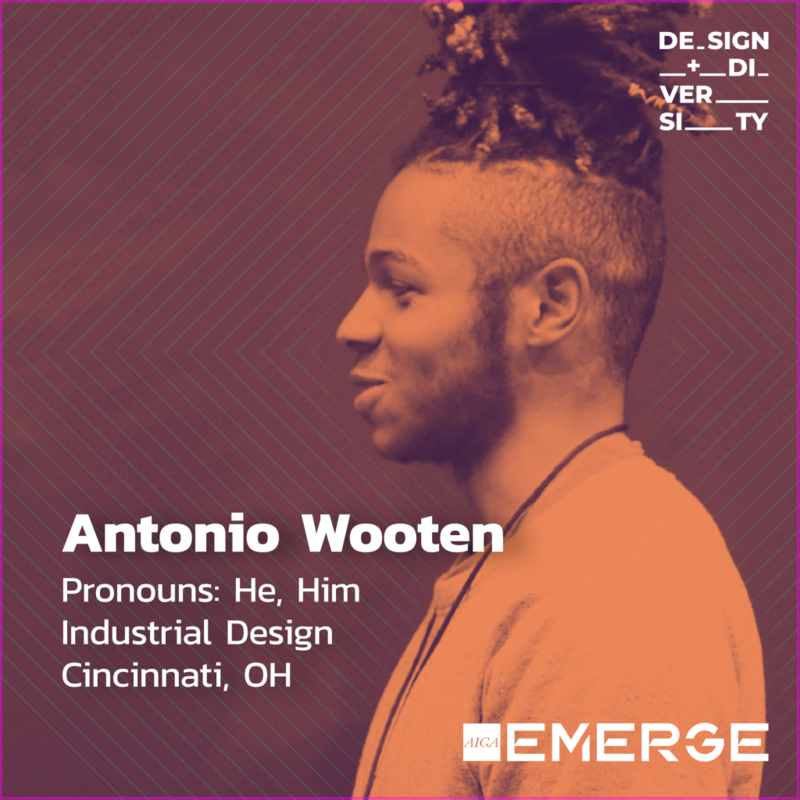 Having a background in several mediums (sculpture, installation, illustration, etc), community design, and community engagement, he aspires for his work to go beyond gallery walls and have his work to be accessible to a variety of communities. Quinton believe the community issues his work illustrates must also be imbedded in the community to further conversation and create solutions to the problems. Quinton has won multiple awards for his work Little by Little, a solutions-oriented community development project that addresses the lack of infrastructure in communities and how minor enhancements, like better street lighting, could better a community. As a Community Design Apprentice, through Creative Reaction Lab, Quinton had the opportunity to work collaboratively with other designers in the Kingshighway neighborhood to examine how public transit access could improve quality of life. He, along with his cohort, created a community event that brought people from the neighborhood and beyond to have conversation about what public transit meant to them and how could it be improved. Chicago Mobile Makers recently finished two Spring workshop sessions and has already produced the positive results. They ask students to look at their own communities and design positive change. Through CMM, Maya’s goal is to empower young people to feel that they have agency over their lives and their futures. She hopes to create the next generation of civic-minded and socially responsible designers, builders and makers. Andre is most passionate about animation because of the universal stories they tell. He lives for the moments when family, friends and even strangers connect and reminisce about a cartoon that they loved—those fond memories link people on a very human level and transcends age, race, socioeconomic or ability status. His hope to recreate that feeling through his work. 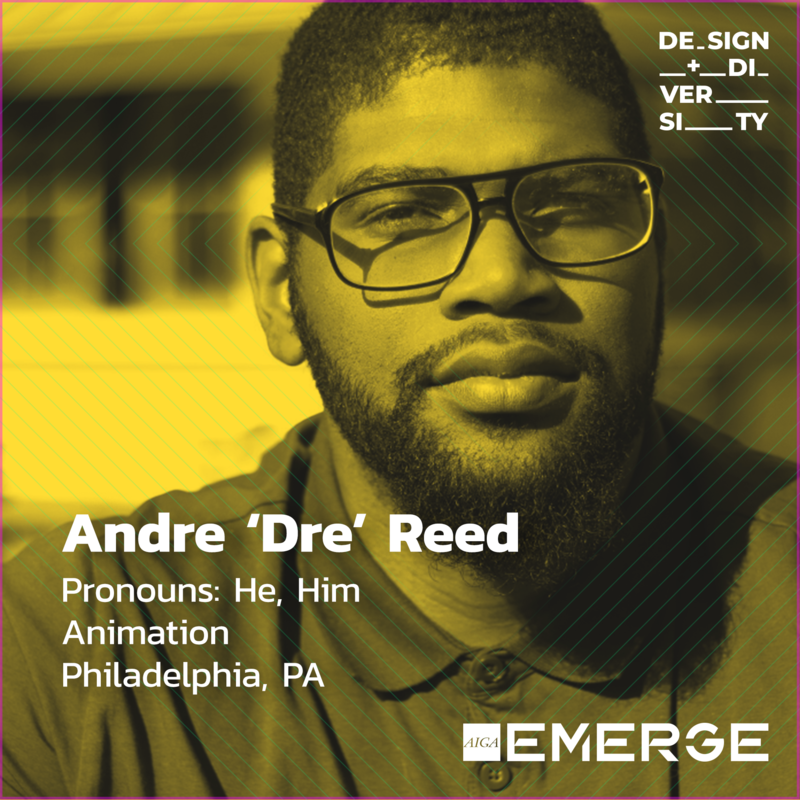 Not only was Andre the grand prize winner of the CUFF film festival in Philadelphia for his animated film, First Kiss, but he also spends his time teaching filmmaking and animation to both youth and adults across his community. To be a person who once was considered one of the weakest students in college, he is truly a person who is humble, passionate, inquisitive and motivated. 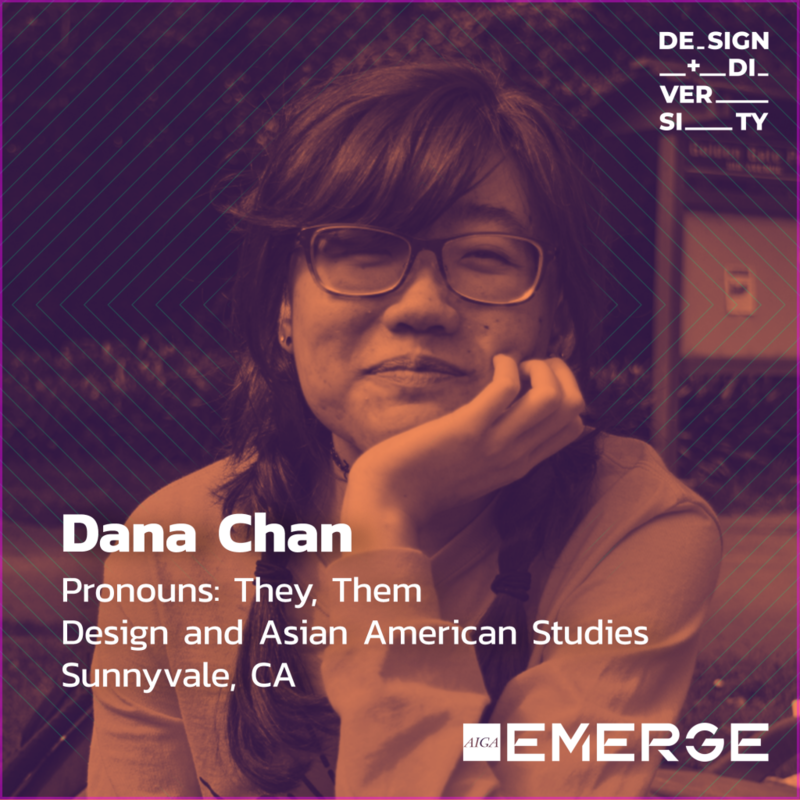 As a person that exists at many margins—identifying as a queer, disabled, mentally ill, East Asian non-binary femme, Dana sees how much their communities and they struggle to survive. Thus, the work they are passionate about strives to alleviate traumas and burdens and create space for all to live freely, and exist wholly. Design for Dana is about breaking down barriers and creating access. Lately they have been interested how to create access for marginalized people to understand, talk about, and work through lived experiences. Being from the Midwest and growing up black Antonio has been conditioned to be acutely aware of how race, social class, and social status both intersect and segregate people groups. His upbringing is a large part of who he is today and why he cares about his work. Antonio recognizes a large need for reform and civic action within underrepresented communities. He personally sees great potential to be a force for progress within the private and public sectors. In his time as a college student and living away from home, Antonio has seen the word community has taken on a more dynamic meaning. Antonio’s greatest shift in perspective, around community, came through a summer fellowship opportunity called Encounter Philadelphia. He spent 2 months of his summer living in an intentional community with 7 other students. In that time, they were challenged to understand their roles and responsibilities within the world as leaders. As a digital intern at the Obama Foundation’s office in Chicago, Antonio was tasked with producing cutting-edge digital content to amplify the Foundation’s programming on a variety of media platforms. Angel distributes design methods, frameworks, and strategies to an undocumented community, that otherwise, would not gain access. 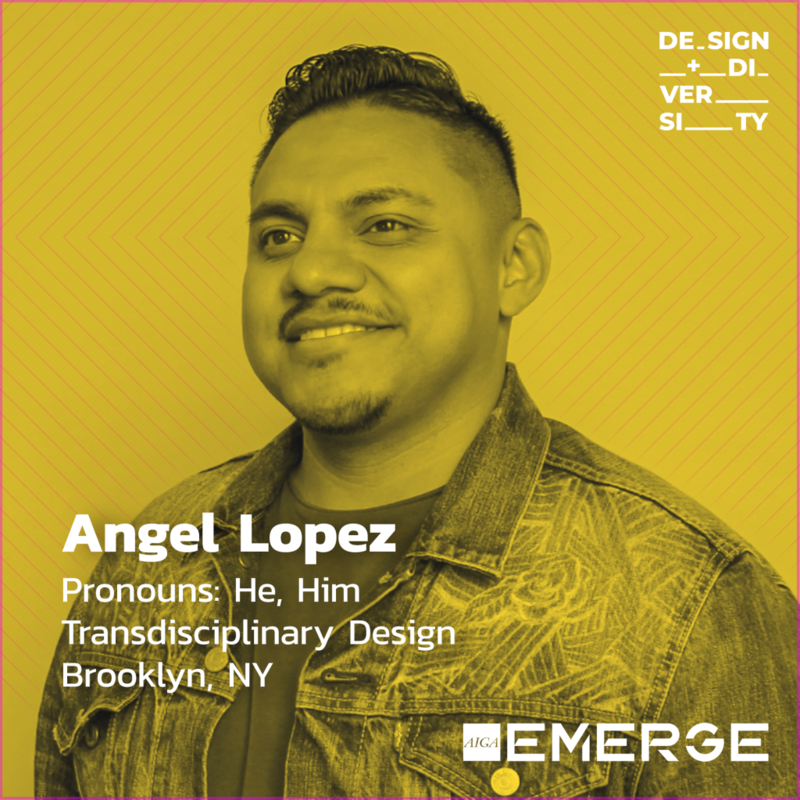 He asks, “If design is a powerful tool for change, then who has access to design?” Angel is a design strategist, artist, and educator. His work is focused on the impact of human welfare, civil rights and the marginalization of people. The objective of Ángel’s work is design for liberation through community-based practices by co-developing strategies and tactics to respond to the systemic marginalization of communities. His process is community-centered through principles of capacity building, developing community trust, exercising empathy, and critically thinking. Most importantly, he co-creates with communities at the forefront of the issue and in spaces where not just one discipline can tackle alone. The process Ángel creates has a genuine transformative outcome through artifacts, distribution of knowledge, publication of knowledge, community agency, replication of models, or storytelling. The design of his work is to enable social change. Aleenah empowers her community by telling stories that they all deserve to read. As a queer Pakistani Muslim woman, she is used to skimming through news stories in search of words like “terrorist” or “Pakistani” associated with people who looked like her, always hoping that she wouldn’t find them. News stories about South Asian people often focus on poverty in developing nations or bombings perpetrated by brown individuals. Aleenah feels the way that others see her is informed by stereotypes and biases because the media associates her religion with terrorism and 9/11. 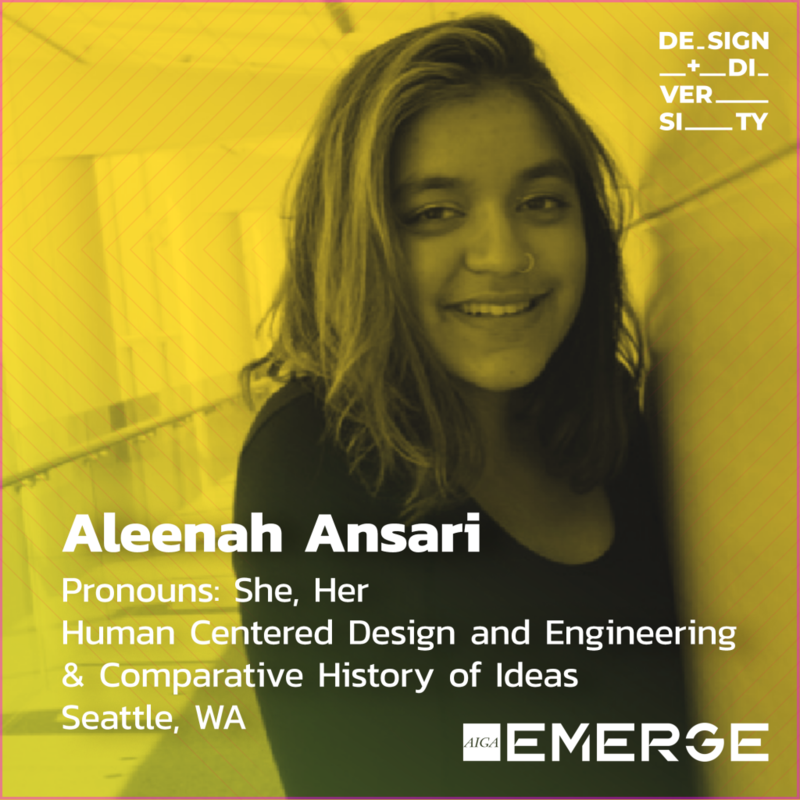 Though Aleenah tries to combat these stereotypes every day by approaching every relationship with kindness and empathy, her work can’t necessarily undo the thousands of stories that have shaped the way that people see her. Akiel’s experience since he’s been in Baltimore for school, is that the communities are run down due to a lack of community pride. He believes his work can help positively impact the community by showing value to those that live there so that they may take pride in their area. 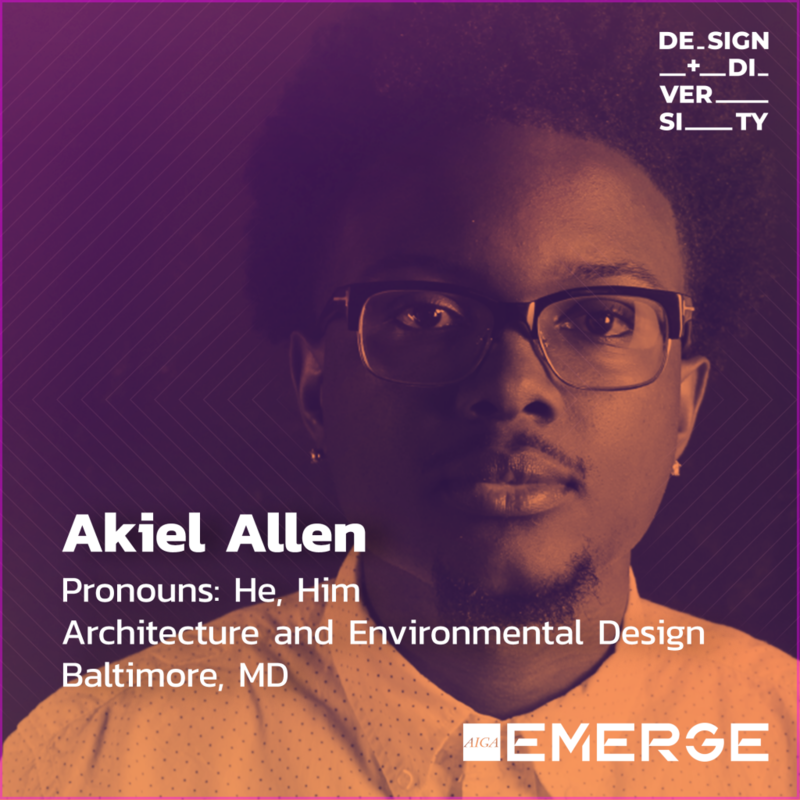 Akiel hopes to restructure the communities in a way that supports local commerce without leading to gentrification. At Morgan State, Akiel was among six students to join the inaugural “Preservation in Practice”, a program meant to address both the lack of African American monuments and African American monument preservation in Baltimore, a.k.a. the Monumental City. In partnership with the Advisory Council on Historic Preservation, the National Trust for Historic Preservation and the National Park Service, the school launched the program this summer. The students — all architecture majors — have traveled to historic sites in Baltimore and Wyoming, studied alongside architecture experts and even learned to lay bricks — all in an effort to increase the number of African Americans in historic preservation, architecture and urban planning. Timothy Bardlavens is a Senior Product Design leader with experience leading full life-cycle initiatives for a range of companies, recently acquired start-ups to major corporations across areas of UX, UI, Strategy and more. 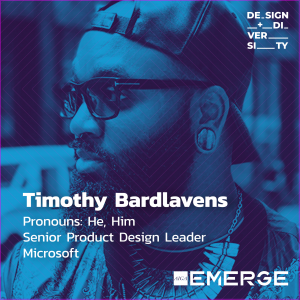 At Microsoft Timothy and his team have create experiences for millions users in both the Edge browser and on Outlook mail online and mobile endpoints. Leading core feature area within these products, he collaborates with multi-discipline teams to deliver design strategies, build systems, and tell great stories. Additionally, he leads various organizational culture Initiatives throughout Microsoft, helping leadership set cultural vision & values built on creating a diverse and inclusive organization where each person is encouraged to, and rewarded for being, uniquely themself. Outside of work Timothy is a creative strategy consultant for change organizations, like non-profits and B-Corp organizations, whose work focuses on human & planetary health, human rights, social & economic justice, in addition to democracy & movement building. 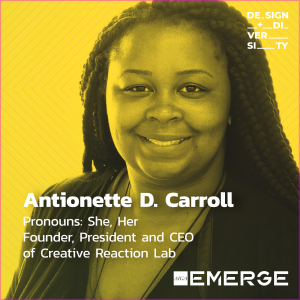 Antionette D. Carroll is the Founder and CEO of Creative Reaction Lab, a nonprofit educating and deploying youth leadership to challenge racial inequities impacting Black and Latinx populations. Within this capacity, Antionette has pioneered a new, award-winning form of creative problem solving called Equity-Centered Community Design (named a Fast Company World Changing Idea Finalist in General Excellence and Urban Design). Creative Reaction Lab is creating a collaborative youth-led, community-centered movement challenging racial inequities in the education, media, health and healthcare, and government and public service sectors. Throughout her career, Antionette has worked for non-profits working for social justice, human rights, and diversity and inclusion. Antionette’s personal mission in life is to CHALLENGE standards, make CHANGE, and CHAMPION approaches resulting in foundational and community impact. As a former Ferguson resident, the death of Michael Brown, Jr. changed her from a typical 9-to-5 graphic designer to a social entrepreneur, design thinking facilitator, community organizer, and social impact design advocate. Also, Antionette is an active community volunteer. Antionette was named the Founding Chair of the Diversity and Inclusion Task Force of AIGA: The Professional Association of Design in 2014. 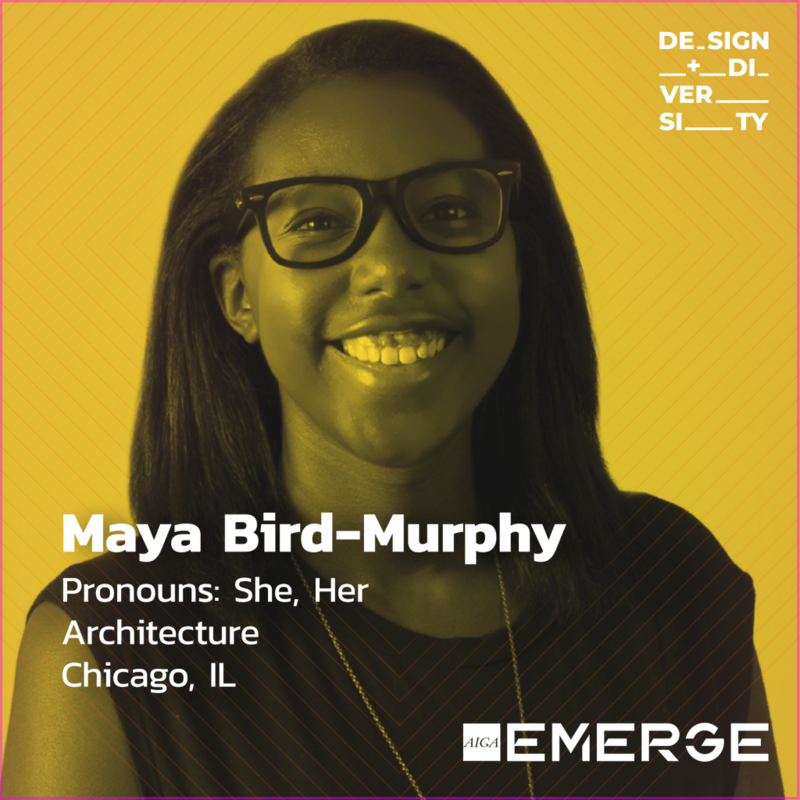 Currently, she’s an AIGA National Board Director and Chair Emerita of the Task Force working on long-term strategic initiatives such as the Design Census Program with Google and national Design for Inclusivity Summit. 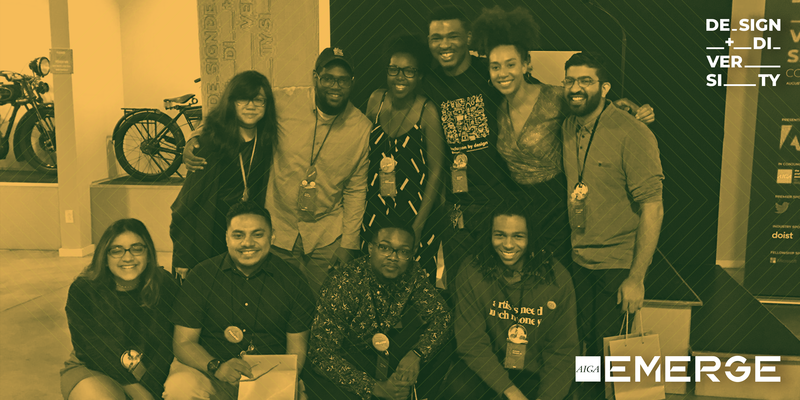 With her encouragement, AIGA created the first Racial Justice by Design program, with Antionette co-organizing and assuming the role of online producer for the national Town Hall in 2016. At the local level, she is currently serving as the President Emerita of AIGA St. Louis and co-founder of the Design + Diversity Conference and Fellowship. Antionette also sits on several awards and programming committees for local and national non-profits. Antionette is an Echoing Green Fellow and TED Fellow. Timothy J. Hykes received his Associate of Applied Science with an emphasis in Graphic Design from Saint Louis Community College. He continued his education at the University of Missouri – St. Louis (UMSL) where he received his Bachelors of Fine Arts with an emphasis in Graphic Design. While at UMSL Tim learned UX under the direction of UX Designer Patrick McNeil. Hykes volunteers his time with AIGA St. Louis. There he’s the President. Tim is also a member of AIGA’s National Diversity and Inclusion Committee. 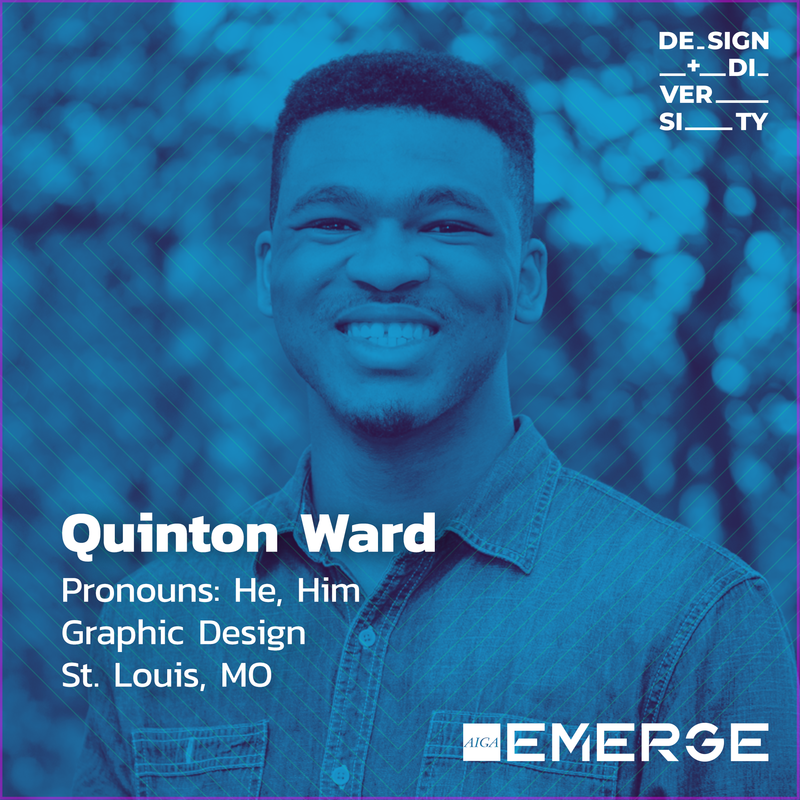 In 2016 he co-founded the Design + Diversity Conference in St. Louis, Missouri. This conference focuses on the diversity issues in the design community. In extending the conference, Tim created the Design + Diversity Podcast. The podcast brings co-host Tim Hykes & Antionette Carroll together to talk to designers about diversity in the design industry. 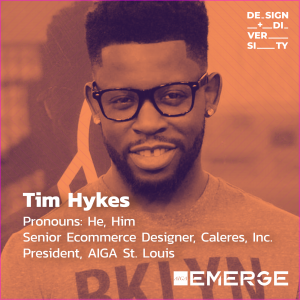 Currently, Hykes is a Senior Ecommerce Designer at Caleres, Inc.
What Tim is most noticiable for is his side project The 28 Days of Black Designer Project. This project featured 28 Black Designers in the design industry. This included fashion designers, graphic designers, architectural designers, and more. The project was featured across all social media platforms with large social followings.